Jonathan Bekele with Jack and Eileen Connors at Camp Harbor View’s Beach Ball. Harry Connick Jr. performed Saturday night at Camp Harbor View’s 10th annual Beach Ball, where 1,000 guests helped raise over $9 million for the summer camp for youths from Boston’s underserved neighborhoods. Hosted by Camp Harbor View’s founder, Jack Connors, and his wife Eileen Connors, the dazzling soiree — put together by Rafanelli Events — was held at the Black Falcon Cruise Terminal. 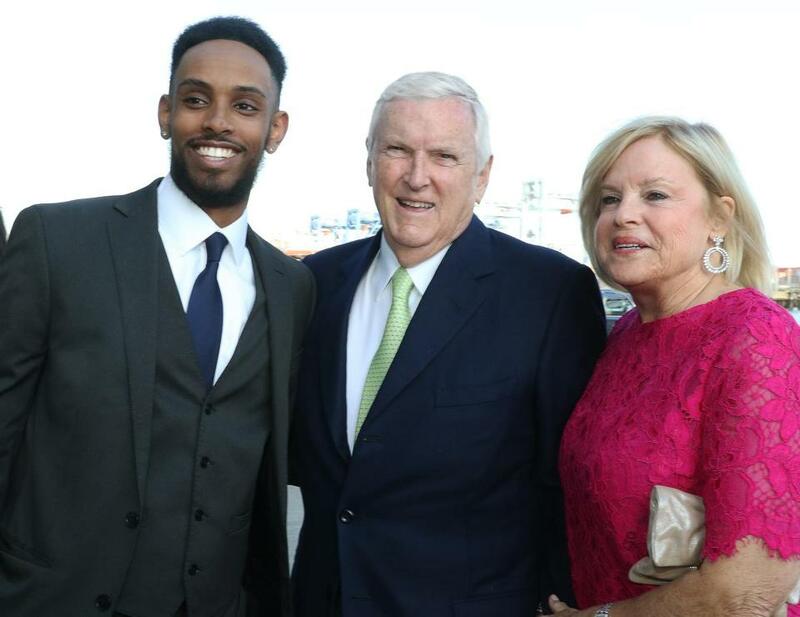 Camp alum Jonathan Bekele was a featured speaker, and among the many guests were senators Elizabeth Warren and Ed Markey, Bank of America vice chairman Anne Finucane, Wellesley College president Paula Johnson, NESN’s Jenny Johnson, and Mayor Marty Walsh. Along with Connors, the event was co-chaired by Andrew Dreyfus, John Fish, and Jim Judge.